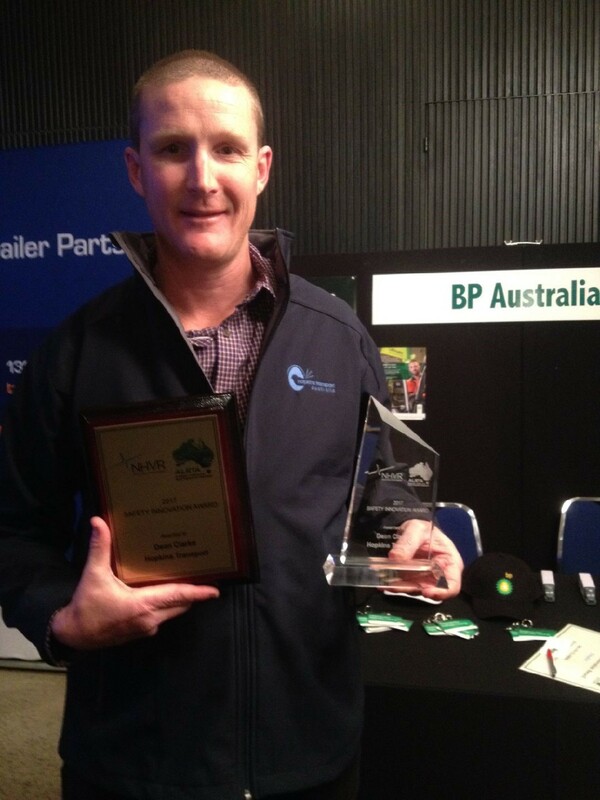 Congratulations to Dean Clarke from Hopkins Transport (NSW) – Winner of the 2017 NHVR – ALRTA Safety Innovation Award – supported by BP. The NHVR/ALRTA Safety Innovation Award is a joint Government-Industry initiative that recognises and rewards rural road transport operators who have identified Heavy Vehicle National Law related safety risks and implemented successful, innovative control measures. We will keep you updated with what Dean does with his prize of a $5,000 safety development fund. Instilled an emphasis on correctly and consistently performing safe operating procedures through the roll out of an organisation-wide program. Undertook a complete organisational safety review and implemented processes and training to improve operations where safety improvement opportunities were identified. Introduced lower speeds set in speed limiter and GPS based alert system for speeding. Achieved 90% less speed occurrence since introduction of new systems. Installed seeing machines to fleet vehicles identified as high risk. This influenced safer driving behaviour and reduced driver fatigue and loss of concentration on the road. Improved carrier-customer communications and expectations to more safely and better manage livestock loads and driver rest. Undertook extensive review into safety risks to improve safety procedures. Introduced measures to counter identified risks such as live fatigue feeds, GPS vehicle tracking, speed controls and safety refresher training. Pictured here are our national finalists that were in attendance with award our partners BP Australia and National Heavy Vehicle Regulator. 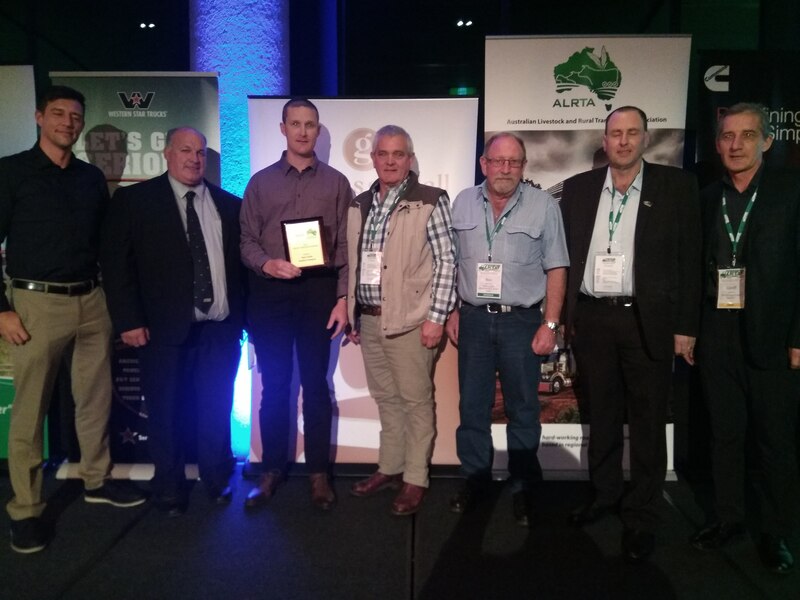 From left to right: Jaimin Piggott from BP Australia, ALRTA National President – Kevin Keenen, Winner – Dean Clarke (Hopkins Transport), Peter Callanan ( Shanahan’s Livestock Transport, Ron Harvey (Dennis Transport), Graeme Hoare (Martins Group) and Geoff Casey from NHVR.